We have manufactured this terrarium for U. Zeitler in october 2016. 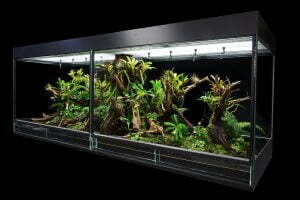 The customer used to have a large aquarium as a room divider. After a few years U. Zeitler wanted something else and asked us if we could fulfill his wishes. The terrarium had to be of a specific size: 200x60x80cm (LxDxH). Unfortunately, it was not possible to place one terrarium because of the limited access to the house and manufacturing on location was not possible considering the large distance. 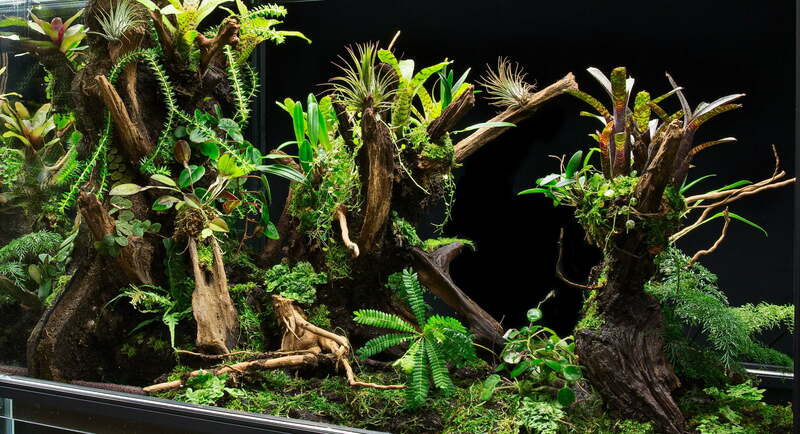 In compliance with the customer, we have decided to manufacture two 100x60x80cm terrariums and place them against each other with one large licht cover for both terrariums. 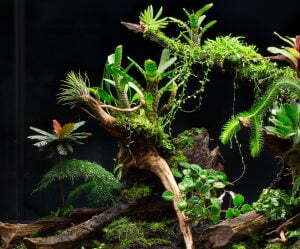 It was very important for the costumer to make it look like one large terrarium. 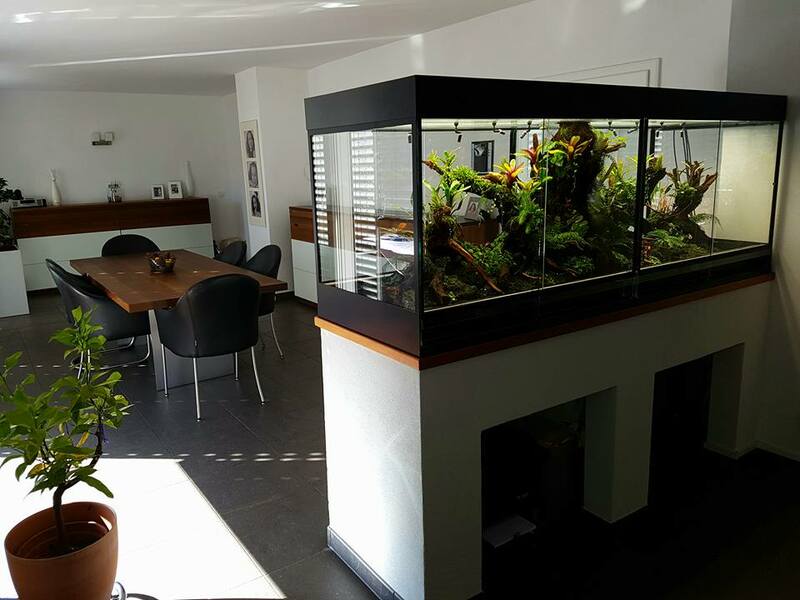 By leaving the partition wall partly open and by customizing the interior, we have made it look like one terrarium and we are quite proud of the result.